We are a leading Manufacturer of concrete hose, rubber hoses and industrial rubber hoses from New Delhi, India. 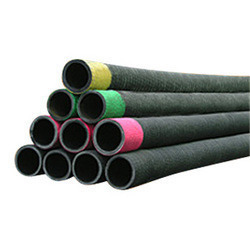 We are recognized as a successful manufacturers and suppliers of Concrete Hose. Our concrete hoses can with stand an extremely high working pressure under normal working conditions. We have a good stock of hoses in all sizes. We aim at providing our customers with the best of service and come up with the outstanding quality range which is rigorously tested by our highly skilled workforce. As an ace manufacturer and supplier of Rubber Hoses, we have marked our name very strongly in the market. These hoses are manufactured as per stringent IS standards and are a result of years of development. They have wide spread applications and are used extensively in various industries. 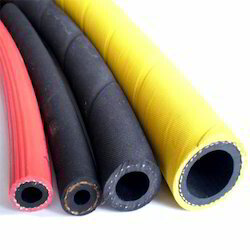 Rubber hoses are divided into two categories based on their usage. As the name sugests, these hoses are used for special purposes like Sand blasting, Shotcreting, Concrete pumping and delivery, Oil discharge and decanting, Cement grouting etc. 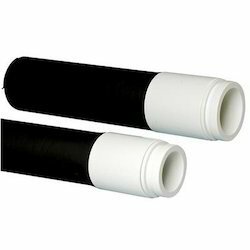 These hoses are specialy made for these applications and have a suitable rubber compound ingrained in the construction.